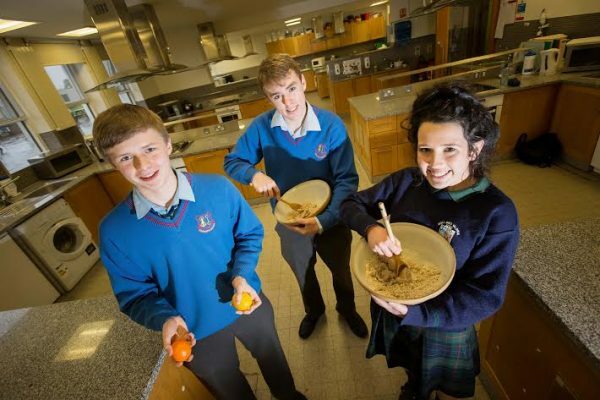 The Restaurants Association of Ireland have partnered with St. Angela’s College, Sligo, to deliver the Fine Dine at Mine All-Island Cookery Competition 2014. The Fine Dine at Mine cookery competition is open to all students in post-primary schools on the island of Ireland and Youth reach Centres in the Republic of Ireland. The competition gives students an opportunity to create tasty, healthy and affordable restaurant meals at home. Students are asked to submit their favourite restaurant meal (main course dish only) for TWO people. The regional closing date has been moved back until the 28th February. We have already received over 600 entries for the competition, and hope to receive many more before the closing date of Friday the 28h February 2014, at 5pm. Entries can be made by either post or email. A total of 32 (16 Junior and 16 Senior) entries will be selected to go forward to the All-Island Final based on the entries submitted. At this stage of the competition, each finalist will be assigned a Restaurants Association of Ireland Member Chef to mentor them for the final cook off. The All-Island Cook Off will be held on the 6th & 7th May 2014 in St. Angela’s College, Sligo. The ﬁnal is judged by a panel of experts including award winning chef Paul Flynn of the Tannery, Dungarvan.